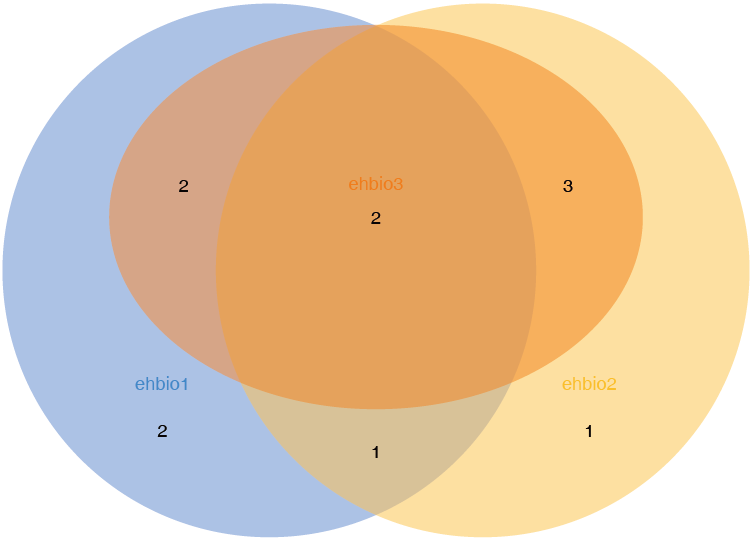 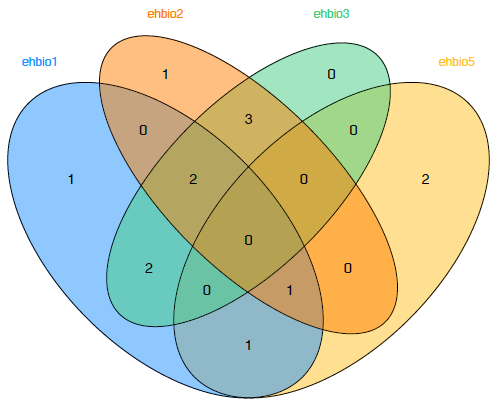 sp_vennDiagram.sh -f venn -F TRUE -n "120, 110, 50"  -l "'EHBIO','SXBD'"
For two-set venn, the format is <-n “100, 110, 50” -l “‘a’, ‘b’”> represents (length_a, length_b, a_b_overlap). 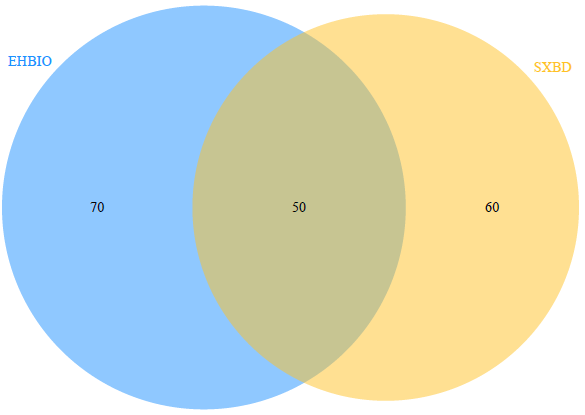 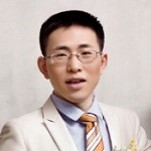 For three-set venn, the format is “100, 110, 90, 50, 40, 40, 20” represents (length_a, length_b, length_c, a_b_overlap, b_c_overlap, a_c_overlap, a_b_c_overlap). 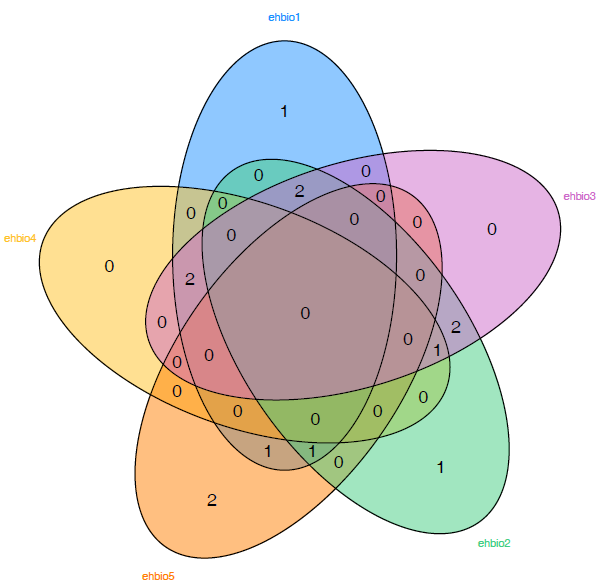 For four-set venn, the format is <-n “100, 110, 90, 50, 40, 40, 20” -l “‘a’, ‘b’, ‘c’, ‘d’”> represents (length_a, length_b, length_c, a_b_overlap, a_c_overlap, a_d_overlap, b_c_overlap, b_d_overlap, c_d_overlap, abc_overlap, abd_overlap, acd_overlap, bcd_overlap, abcd_overlap).